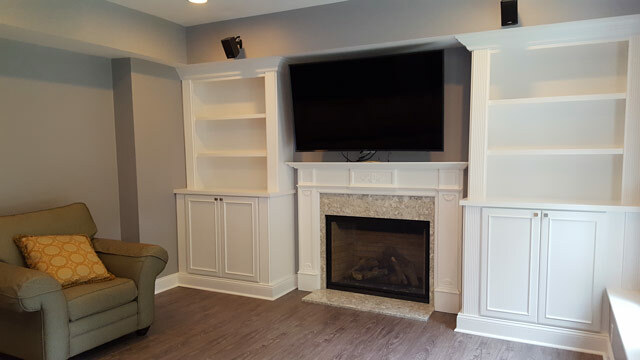 Custom Basements of New England, LLC provides basement finishing and remodeling for homes of any size and layout. Our signature Basement Living Systems offer you three wall panel color choices, three moulding colors, and a choice of several ceiling panels. We’ll help you make your finished basement your own while making the process easy. This quality product is an economical and customizable solution. Our wall systems are manufactured, installed, serviced, and guaranteed by our company. Within about two weeks, we can transform your basement from gray and unusable to bright, warm, and inviting. 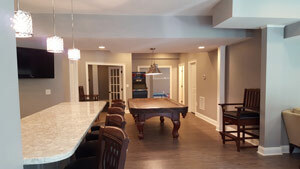 Finishing your basement significantly increases the value of your home and you can nearly double the living space. With an R-13 insulation value, our wall systems do not promote mildew and mold growth. If needed, we can remove them to easily access your basement foundation walls. They also have acoustic qualities which are suitable for any home entertainment system. Contact us at Custom Basements of New England, LLC for more information and to get started today.